The Finishing Touch: New Designs for Christmas in July! New Designs for Christmas in July! It seems more difficult every year to think about Christmas stitching when Kentucky is hot and humid, but Christmas in July is upon us. We have a table of Christmas items marked with a variety of SALE PRICES. We will add to this table as the month goes on so come check it out – reductions from 10% to 50%. Sale runs the entire month of July. If you have a desire for the new Lizzie Kate Summer Mystery Sampler, get on our list now as our order date is July 5. Linda describes this as a “little” sampler unfolding in 3 charming parts. 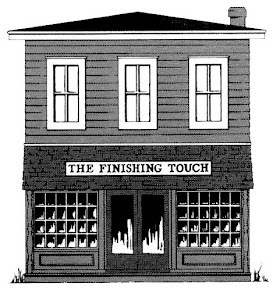 Each part has a “little” bonus project. Of course, we have not seen much about the mystery design except flowers, trees and sheep. We know it will be delightful and fun. By the way, we have a finished and framed model of Lizzie Kate’s “Things Unseen” Mystery Sampler. 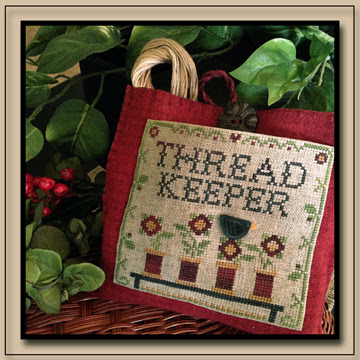 It really is a beautiful sampler and we are happy to have it on display. 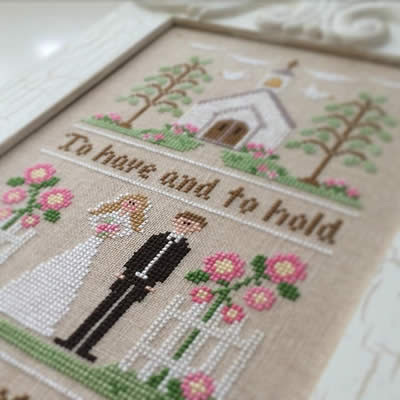 A note for your calendar: We will be attending the Heartland of Kentucky Quilt Show in Elizabethtown on September 18 and 19 with a booth filled with “all things cross stitch.” Come visit with us and see all the beautiful quilts on display. 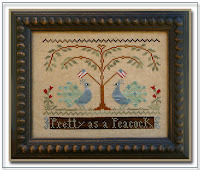 Here are some of the latest designs from Country Cottage Needleworks. 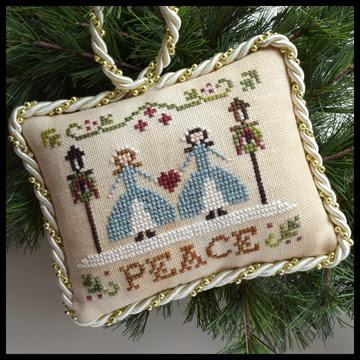 To Have and To Hold is a sweet and simple wedding sampler and Fa La La La La is the latest in Nikki’s 2015 collection of ornaments. Little House has Thread Keeper – a darling pocket designed to hold the floss for your current project. Very cute idea! 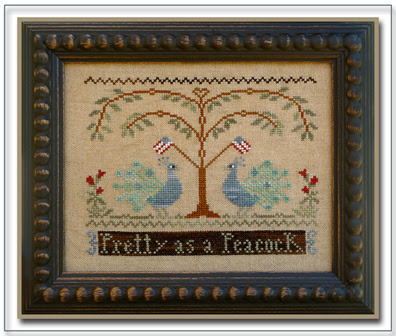 Also new for Diane is Pretty As A Peacock, a design highlighting patriotic peacocks. Last for Diane is Peace, the latest in The Sampler Tree ornament series. 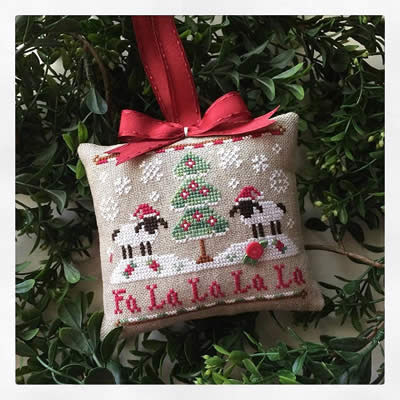 No doubt there will be many more Christmas designs coming in July. Best wishes to all of you for a safe and happy July 4th.